A lot of happy trainers. Pokemon Go Fest was held again in Chicago this year and Niantic appears to have completely outdone themselves after the debacle that happened with last year's live festival event. Pokemon Go announced that 21,000 attendees traveled to Chicago for the event and 180,000 trainers participated in events in the surrounding area. In a blog post by Pokemon Go, Niantic reported that attendees walked an average of 6 kilometers (~3.7 miles) and caught an average of 350 Pokemon between July 14 and July 15. The full blog post at Niantic contains photos from the event held again at Lincoln Park. Pokemon Go Fest is Niantic's annual live event where trainers gather for a weekend of celebration and events. Rare Pokemon and events specific to Pokemon Go Fest occur regularly during the two-day festival. Players also work together to complete goals that would unlock rare Pokemon like Celebi. Outlets like our sister site Eurogamer are reporting that this year's Pokemon Go Fest is a redemption for the game after last year's attendees were stuck without wifi or signal. 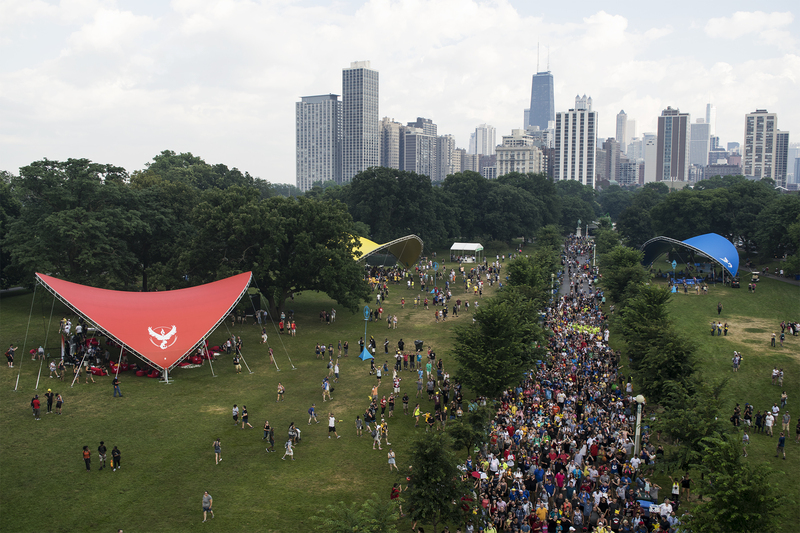 The event's failure caused Niantic to issue refunds and apologies to festival goers who came from all over the world to Chicago only to discover two days of disarray. Since then, Niantic has been hard at work improving Pokemon Go with new events and long-requested features like friends and trades, Niantic was apparently very prepared at Go Fest with signal towers set up just for the occasion. You can jump back into Pokemon Go with our handy Pokemon Go guide with tips on how to catch Pokemon, level them up, and other walkthroughs. Tagged with Android Devices,	AR,	ios,	mobile,	News,	Niantic,	Nintendo,	Pokemon.